Ever Had a Sprinkles Cupcake? Here’s How to Get 3 for FREE! One of the things I most fondly recall from my first trip to Los Angeles was the cupcake sundae I got from Sprinkles in Beverly Hills. Fancy, right? Don’t worry, that was the only money I spent in this ultra-expensive neighborhood! My local friend insisted we hit the popular dessert spot, which sells customizable ice cream and toppings, as well as cupcakes and cookies. They even have a cupcake ATM! Yes, you read that right — and the line is always just as insane as you’d imagine. 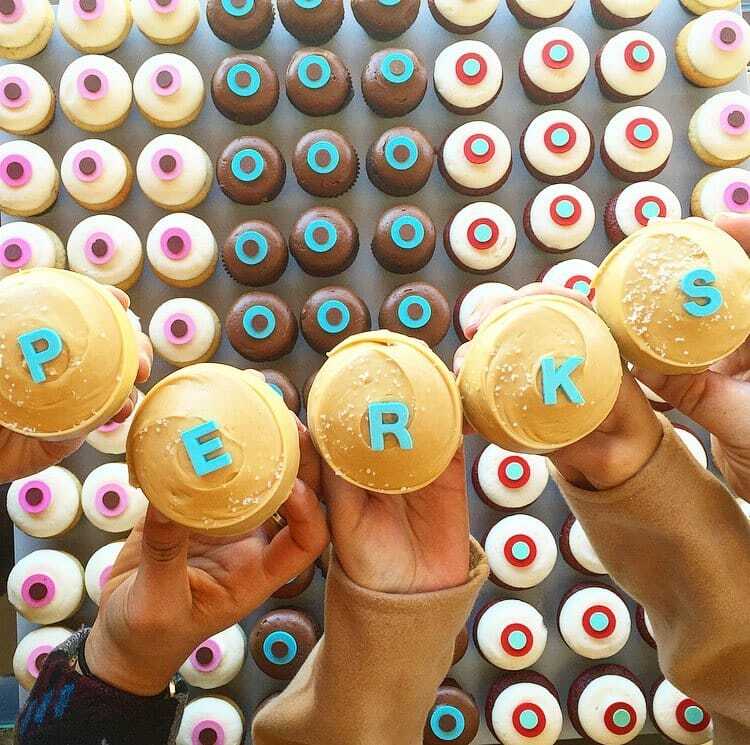 Cue my intense curiosity — and salivation — when I found out Sprinkles just introduced its Perks program. Oh, and did I mention you can get THREE FREE cupcakes when you register? That’s right, I said three: You automatically get one free cupcake added to your account on sign-up — and you’re entitled to a freebie on your birthday, too. And so long as you visit Sprinkles 20 or more times in a calendar year (not. hard. ), you’ll get one on your half-birthday! Way to spread the love year-round, Sprinkles. Not to mention, you’ll accrue points towards other goodies every time you visit — and you’ll receive a free menu item for every 15 purchases you make. Sprinkles is only in select areas like Nashville, New York and Los Angeles — and we don’t know how long this deal will last. But if there’s one in your area, head over to the Sprinkles site to sign up for their Perks program. If you’re not near a location and have no plans to be anytime soon, Sprinkles’ ice cream and cookie dough now ships nationwide! It won’t save you any cash, but it’s definitely good stuff. Your Turn: Will you become a Sprinkles Perks member and claim your free cupcakes? Jamie Cattanach is a junior writer at The Penny Hoarder. She also writes other stuff, like wine reviews and poems — which are sometimes about cupcakes. You can read along at www.jamiecattanach.com.